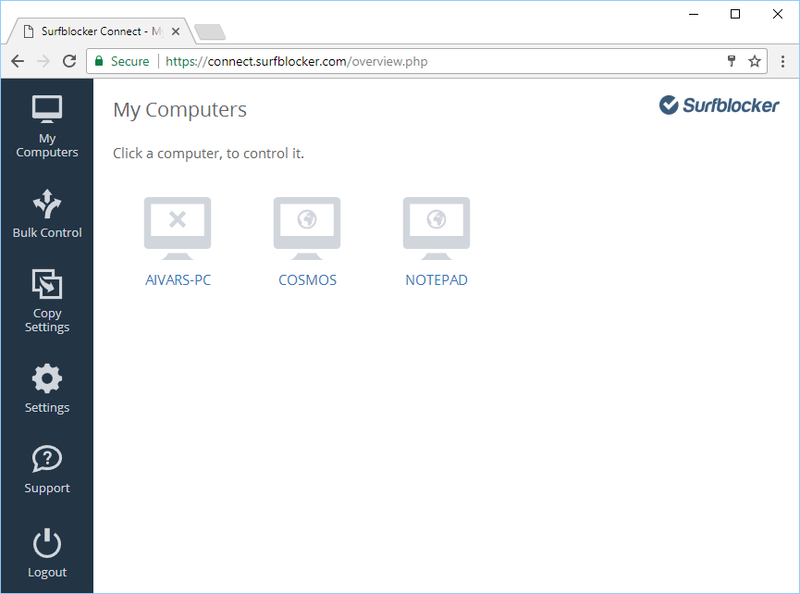 Surfblocker is a leading Internet access control software, serving thousands of people and organizations across the globe. 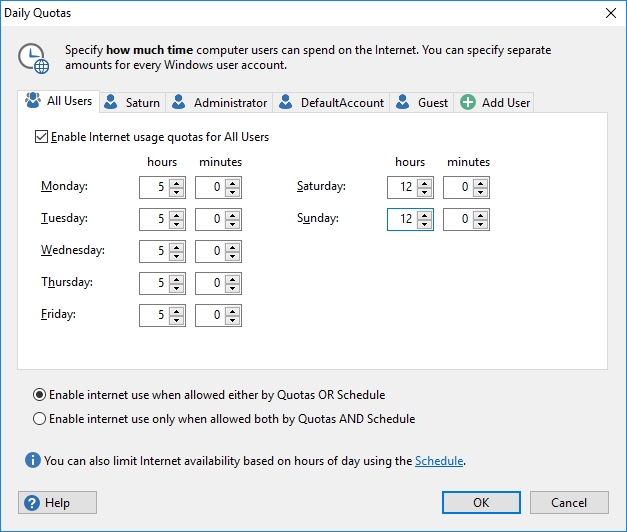 Easily restrict internet access at specified times or on demand. 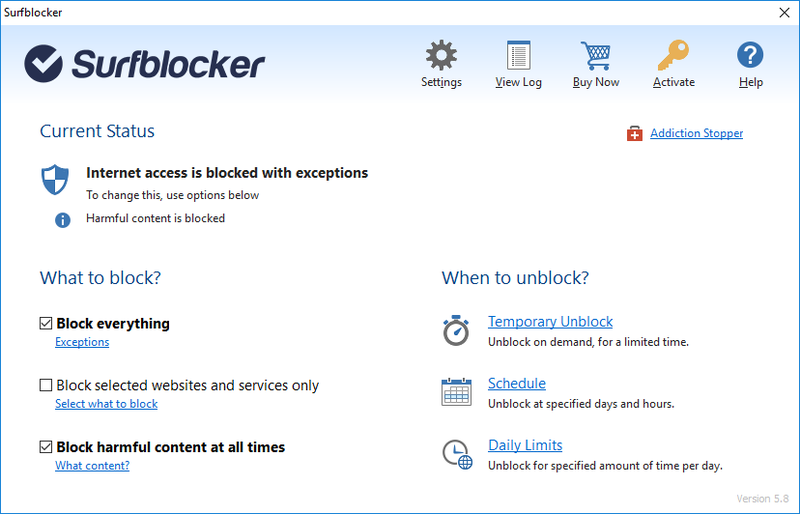 Allow and block websites and limit which programs and features have access to the internet. For example, you can allow only e-mail and and work or study related websites. You can also simply password protect internet and disable connection after a specified amount of time. 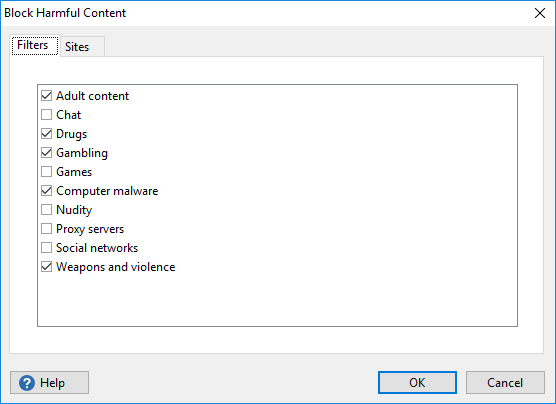 Of course, you can also block harmful and hazardous content automatically. Make sure employees spend time working and not socializing on the web. Boost workforce performance by limiting the temptation for online entertainment. 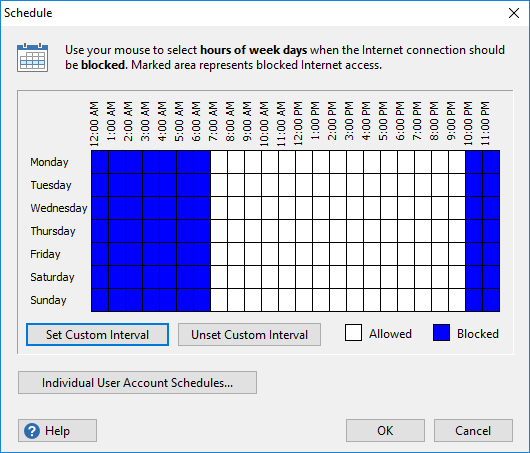 Allow work-related websites and programs while blocking everything else. Ensure balance between Internet use and other activities. Automatically turn off Internet late at night or at any other inappropriate time. Allow Internet while blocking harmful or addictive services such as online gaming or social networking. 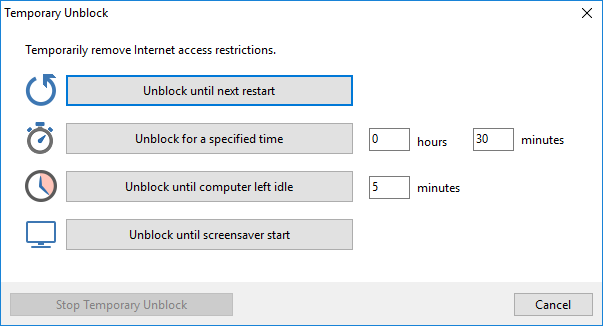 Block Internet access while allowing e-mail, Wikipedia or other useful services. In contrast to other bulky, complex and expensive Internet access control systems that take time to understand and configure. 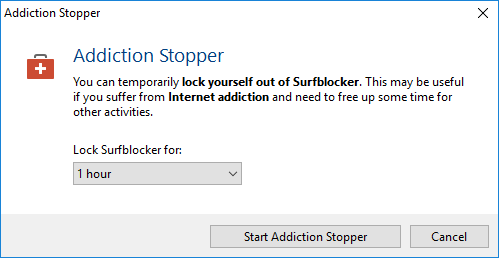 Surfblocker is lightweight, affordable and pretty straight-forward tool out of the box.